Act of Treason on Exerted Creature? 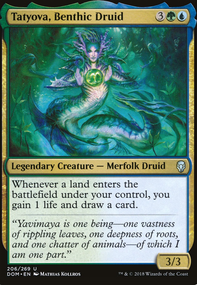 May also recommend Elvish Piper Quicksilver Amulet and Champion of Rhonas as ways of cheating your creatures. 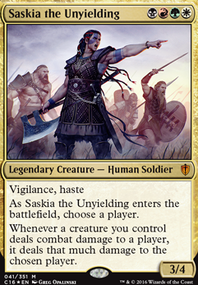 See the Unwritten and Selvala's Stampede serve as the same function. 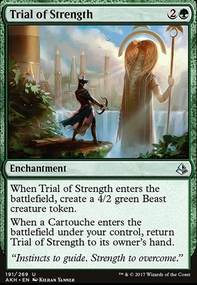 Thing is, most common infinite mana combo in our playgroup is Deadeye Navigator and Peregrine Drake (Unless we are facing infinite everything Animar, Soul of Elements , but it's unlikely this deck will go against him), and both of them will easily dodge the wipe - and they tend to emerge from Defense of the Heart , which needs either counter, or removal ( Beast Within or Chaos Warp ). 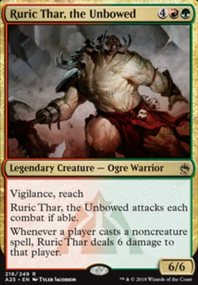 We also have Judith, the Scourge Diva player, and thank god he doesnt know about Worldgorger Dragon infinite mana combo. All those creatures won't even notice weak Pyroclasm or Volcanic Fallout . 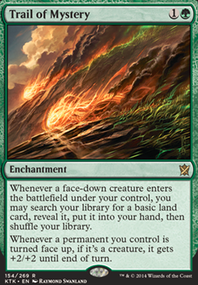 I might replace counterspells with instant mass-removal, but again, it requires a lot of mana, which I won't have if I don't land Seedborn Muse or Wilderness Reclamation - otherwise I will just sit with all those creatures in my hand, unable to play because of anticipated shenanigans. 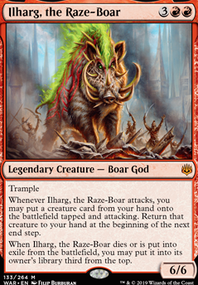 Are there any cards you might consider to be removed? Would love to hear your opinion on that. 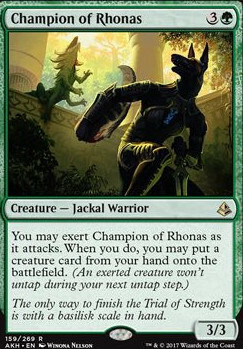 I am debating about Champion of Rhonas , since unless I am playing against creatureless control or paintrain (FYI I am the only player with control ( Lavinia, Azorius Renegade ) and paintrain ( Mogis, God of Slaughter ) decks) since he will be able to proc only once, max, before being blocked in the face. 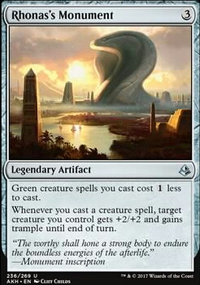 Also, I am considering to add cheap tutors in the deck, like Time of Need to find Teferi, Mage of Zhalfir or Yeva, Nature's Herald , maybe Fierce Empath , Gamble , Signal the Clans , Wild Pair or even Momir Vig, Simic Visionary .